Want it by Wednesday 24th April? Order within 4 days, 20 hours, 9 minutes and choose Next Working Day - Kerbside Delivery (Order Must be Placed by 2pm) at checkout. 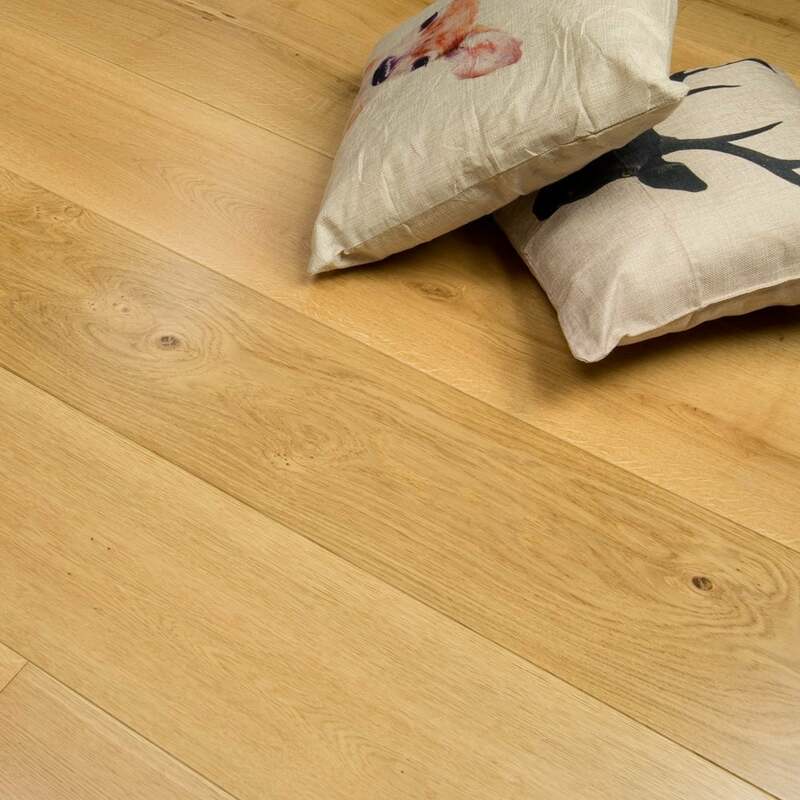 As our widest plank sized range, this Summit 20/6mm x 240mm Oak UV Lacquered is a highly desirable floor. An industrial quality protective finish is applied to seal the wood which strengthens, hardens and protects the floor against the wear and tear of daily life. The floor is then finished with a protective UV lacquer, this surface protects the natural look of the wood and ensures that the floor is easy to clean and maintain. The best thing about the 6mm Veneer on this floor is that you have the opportunity to completely modify the appearance of the floor if you wanted to after several years. A professional re-finisher will be able to take off the top layer off and retreat it with whatever you want. This makes this floor even more desirable, as you can do so much with it. As a slightly lighter shaded floor, these planks will maximise whatever light you have available, and keep the flow of the room beautifully. You can employ a bold primary colour based interior pallet should you wish, using lots of vivid shades set against softer coloured furnishings. This floor speaks for itself, so order a free sample today!